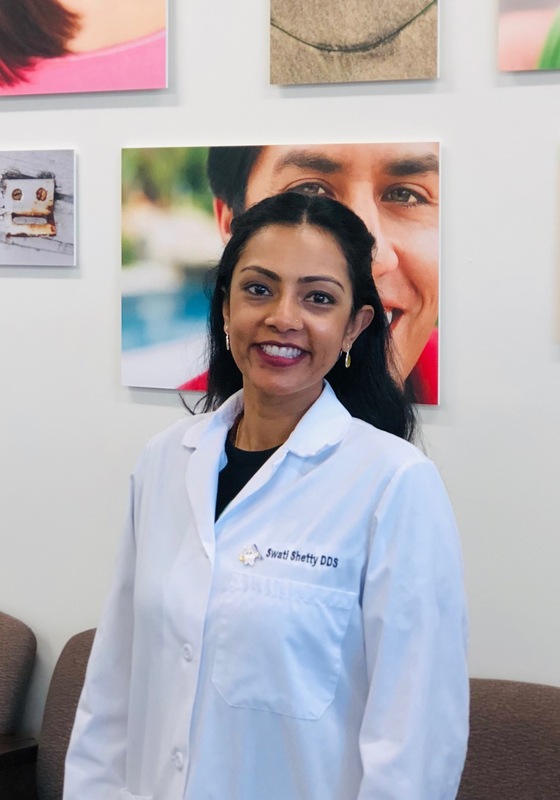 North Orange County Chamber interviewed Dentists of Buena Park to learn more about its involvement in both the local and global communities. NOCC: Explain your passion for dentistry and how it is represented in your company culture. 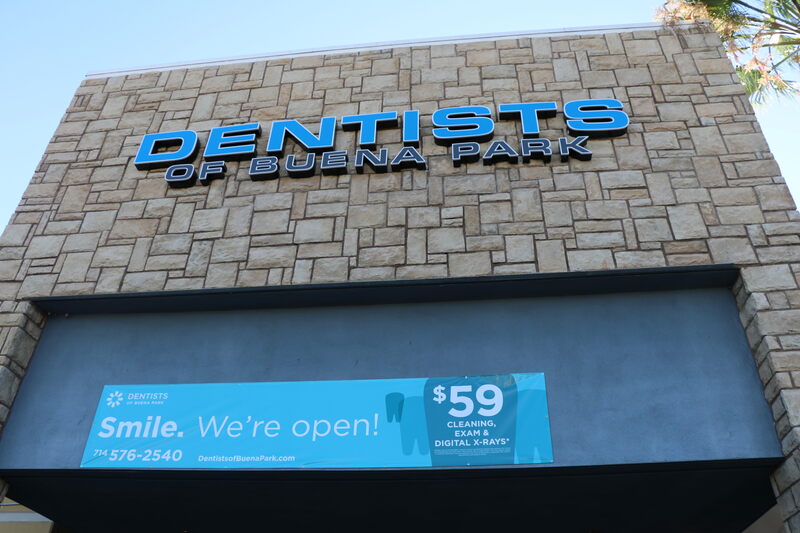 DBP: The mission of Dentists of Buena Park is to be the provider of choice in dentistry by providing dental services to the community so that every individual is on the path of good oral health. Raising awareness and educating our patients is also part of our mission. We strive to provide the best dentistry by incorporating technology into our services. NOCC: As a new business, describe how your business differentiates itself from competition. DBP: The only competition we have here is with ourselves. We need to keep excelling in our dentistry, customer service and technology. The feedback from our patients helps us do our job better. Our priority is happier, healthier patients! NOCC: What successful marketing efforts have you applied to brand your business? DBP: We like to be involved with events in the community. Our presence in the local community events has really helped us brand our business. We believe every person is entitled to good oral health. We make it affordable for them by providing x-rays, exam and a cleaning all for $59 on their first visit. NOCC: Why did you choose Buena Park to locate your business? DBP: There is never a dull moment in this city of entertainment. Buena Park is a city that loves its people and is making a difference in the community. We found a wonderful location near Target on Beach Blvd. and Orangethorpe. The accessibility of the location to neighborhoods, shopping, activities and highways was ideal for our business plans. NOCC: How does the Chamber help you get to know the community better? DBP: The Chamber has been a great supporter. They have helped us connect to other businesses in the surrounding cities. We really enjoy the monthly “Wake Up Buena Park” with Mayor Vaughn. It helps us stay involved with what is going on in the community. NOCC: What is an interesting fact about your business most people may not know? DBP: Dentists of Buena Park Charity Water. This organization provides clean drinking water to people in Africa. Donations are made each time a patient chooses to have a CEREC crown. In addition, we participate annually in Smile Generation Serve Day by partnering with a local organizatioDn to provide free dental care to people in need. NOCC: Do you have any advice for new business owners? DBP: Get out of your comfort zone! The willingness to put yourself in uncomfortable situations can be a big challenge, but it has produced results for our team. Also, don't underestimate the power of marketing. The more people you know, the more business you will do. 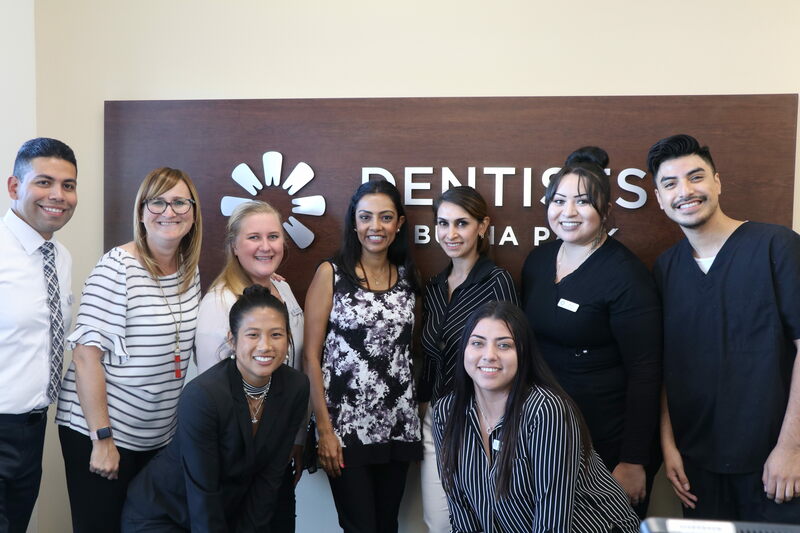 Dentists of Buena Park employees with Dr. Swati Shetty celebrated their Grand Opening on June 27, 2018. 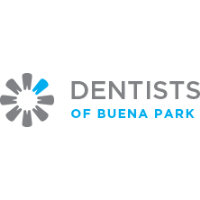 Click here to find out more about Dentists of Buena Park.